We spent about a year (yes, a year!) working out the best way to solve the common problem of raising your back row of pedals. It's been the subject of many email conversations with customers and after a multitude of design revisions (some more elaborate than others) the simplest design came out on top. 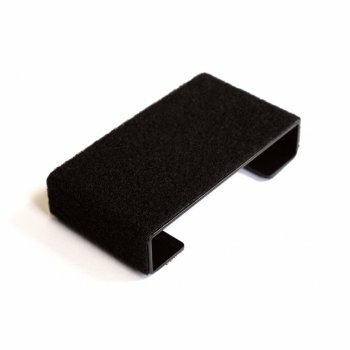 The Diago Pedal Riser is made from 2mm formed steel with a black powdercoat, wrapped in the very same pedal carpet that appears on our pedalboards. They're super grippy (we picked up a loaded Showman board with just one) and they effectively stop you from kicking the knobs on your front row of pedals.